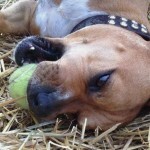 You are here: Home / Opinion / Do We Put Too Much Emphasis on Our Dogs Past? This is an open letter to certain dog owners that obsess over their dog’s past. You’ll often see them on forums, complaining about their dog’s behavior but unwilling to take advice. How much do you know about your dog’s past? If you’re like me it’s probably pretty sketchy, but it hasn’t stopped your imagination from running wild. For many of us our dogs past is just a guess, but our assumptions can end up making it their story. Laika is fearful, and although I’ll never know what the first 6 months of her life were like I’m willing to take some of the blame. Regardless of her past I know I could have done more. I could have socialized her more, I could have taken her to more training sessions, I could have introduced her to people wearing hats at a younger age. But I didn’t. I did a lot, but there’s always more that we could have done. 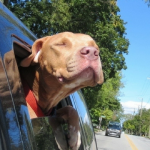 When it comes to dog behavior we tend to make some pretty big generalizations. Things like ‘all fearful dogs were abused,’ or ‘she doesn’t like females because she got into a fight with one as a puppy.’ Could it be true? Definitely. Does that mean we should keep using it to explain away problem behaviors? Do we sometimes end up with a dog that’s difficult for us to train? Definitely. One of the issues I’ve struggled with the most is Laika’s resource guarding. Canine cognitive science has yet to make a determination on whether there’s a genetic component to it or not. Nature vs nurture leaves us with a lot of unknowns, and a lot of grey area. When I come across people willing blame everything on a dog’s past I get irritated. Adopting a dog from the shelter does not mean you’re adopting a dog that has been abused. Dogs are surrendered for so many different reasons; allergies, affordability, moving to another state, don’t have enough time for him. Some dogs have been abused, and some have been neglected, and some end up in a shelter because their owner just got tired of them. Making assumptions about abuse bothers me; in my mind it’s not a word that should be thrown around lightly. 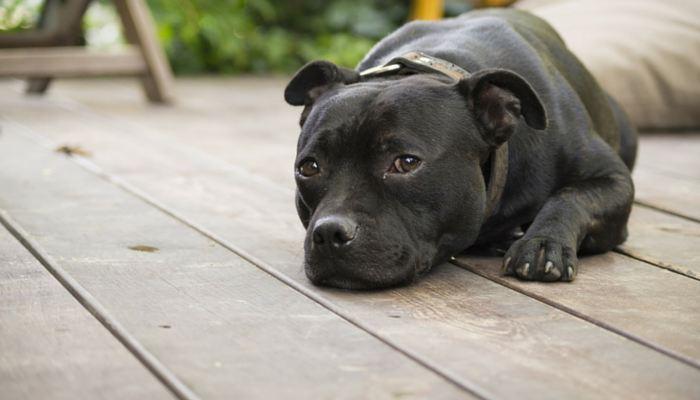 Could your fearful dog have been abused or neglected? Sure. But some fearful dogs had a normal upbringing. Most of us will never know all the details of what went on in our dogs life before they met us. 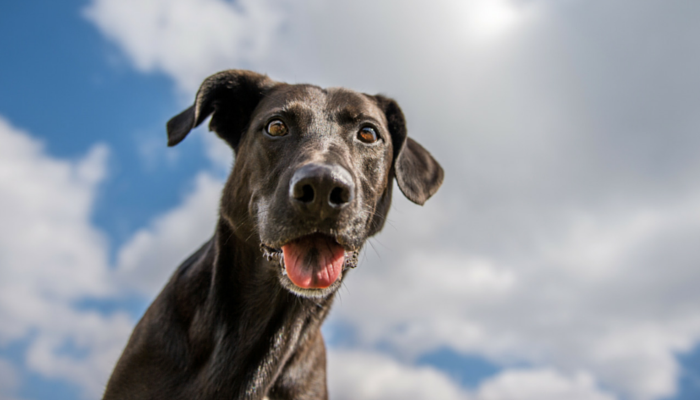 Do we put too much blame on our dog’s past? It’s not fair to judge a dog’s potential based on assumptions about their past. Every one of us can look back and say there’s always more that could have been done. We could have socialized more, we could have gone to more training sessions, and we could have introduced our dog to more people wearing hats. Why are we so quick to blame our dog’s past? Are we making their past more complicated than it might actually be? It’s natural to wonder about the lives they’ve had, but it’s nearly impossible to really know what it was like. Don’t let your assumptions about your dog’s past become their whole story, and don’t let it block your ability to move forward. Dogs are willing to learn if you’re available to teach. It’s hard letting go of the past, but for your dog’s sake you need to try. Don’t get stuck in the mindset that he’ll ‘never improve.’ Take the time to try, make the effort to move forward with him. Our dogs are capable of so much if we’re willing to put in the effort. There’s a lot our dogs can teach us if we’re willing to listen, and just being able to enjoy the simple moments in life is one of those lessons. Have fun, play frisbee, go for a nice long walk. When you’re out with your dog having a good time he’s not dwelling on the past, and neither should you. 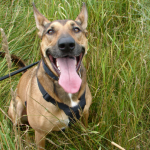 « Adopt Shifu the Beautiful Young Shepherd Mix – Adopted! Wonderful article and you’re right, too many adopters focus on the dog’s past, even if they don’t have a clue about their history. Lots of bad and quirky behaviors are justified and accepted rather than trying to help the dog overcome them. It’s unfortunate because it does foster a perception that all shelter or rescue dogs are damaged in some way. It is so sad how we have this perception of shelter dogs being damaged in some way. In the perfect world we would realize a dog isn’t a shelter dog, it’s a dog, same as any other. Every dog has a past, and hopefully we can help make sure more are guaranteed a future. Oh, goodness…that’s really disheartening about younger peoples’ perception of shelter dogs as inferior. Just another reminder for education outreach! Love this post. 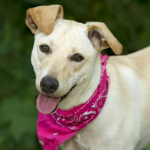 Yup, it can be fun to make up stories about your rescue dog’s past, and it’s always tempting, but rarely useful. I know I’ve done it! But I also think that there are so many important things to balance. Sure, it doesn’t help anyone if you make up a story about Laika being haunted by a behatted ghost as a puppy. But by the same token, it’s so important to meet your dog where she is and train the dog you have, you know? It’s good to know that Laika is worried by people with hats, and to be understanding of that–that means you don’t shove her in a room full of people with hats to socialize her. It gives you the ability to do things right, keeping her far enough away from hats to keep her from getting too scared, and maybe using classical conditioning to help her feel better. Sorry for the long winded comment! I guess this is one of my personal pet peeves, too! I think we’ve all done it, it is part of the fun. Sort of like making guesses on mixed breeds “Oh I’m sure he’s got some Border Collie in there.” And like you said train the dog you have, it’s an important lesson I’m trying to keep in mind. You’re absolutely right! SO MANY people do this, too! If a dog flinches away from a man in a hat, it’s, “Oh, he was probably abused in the past by someone with a hat on.” Or if a dog doesn’t care for children, he “probably got picked on by kids in the past.” Is it a possibility? Sure, maybe. But don’t assume, and don’t think your dog can’t change his behavior or learn new things. Awesome post! I think it’s just easy for us to play the blame game, I know I’ve done it in the past. It’s a convenient way to explain behavior, now whether or not it’s true is a different story. But the good thing is dogs are usually pretty resilient, so they can move past a lot. Great post! I think actually knowing their past is helpful but the people who just assume stuff and obsess about it while actually not doing anything for their dogs totally bothers me! I know a couple of things about the girls. I know that Zoe was found wandering the streets and Phoenix was rescued out of a burning house by fire fighters. I was sensitive to Phoenix being traumatized when I first got her and we took things really slowly but overall we did normal dog things and even though Phoenix was skittish she went everywhere Zoe did. Knowing their past is definitely helpful, especially when it comes to knowing what any potential triggers are. I’ve just ran into far too many owners that only focus on their dog’s past & seem unable to move forward. At the end it doesn’t matter how things got to where they are. It only matters wha we do with it. I so agree. And the stories we tell (ourselves and others) about our rescue dogs often say more about us than they do about our dogs. Excellent point! Even if a dogs past was difficult their present & future can be as great as you make it. I adopted Phoebe from the shelter & learned she was terrified of men! My husband & I worked w/ her for a few months and now she’s super social & loving! She even came to the BlogPaws conference and did great meeting everyone & behaving beautifully. The past is in the past, let it stay there. Thank you for sharing this view. I agree, often times we tend to ‘project’ what our dog was rather than what they are now. Well done! We’re in Big Data era and the more information is the best for us to make a decision. So knowing the past is a good thing but holding on to the past is a life-destruction.